Carla J. Maier (b. Müller-Schulzke *1976) studied Cultural Studies, Postcolonial Studies and Cultural Anthropology at Goethe University Frankfurt/Main where she also received a PhD for her thesis on South Asian Urban Dance Music in the UK. Based on this, she is preparing a monograph with the title »Sound Practices: South Asian Dance Music as Cultural Transformation« (published with Bloomsbury in spring 2019). 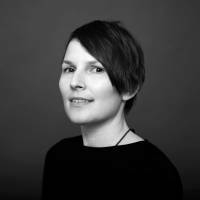 She currently holds a Marie Curie postdoc fellowship at the University of Copenhagen working on a research project called »Travelling Sounds: A Sensory Ethnography of Sonic Artefacts in Postcolonial Europe« (2018-2020). She is a member of the research laboratories Critical Europeanization Studies and Migration at Humboldt University Berlin.